Our engagement session with Jenn was SO much fun! Knowing how fabulous her reputation was, I couldn't wait to start. However, after a bad experience in the past I was worried we'd have to rush through the session because of a photographer's busy schedule. I was pleasantly surprised to find that not only was she warm and fun-loving, but she acted like we were the only people on the planet for our entire session. So cheesy but so true. We didn't feel 'posed' or dictated like rag dolls, yet somehow as we look at the pictures, we realize she made every angle uniquely complementary to our bodies and features. Apparently we were posing the whole time, just effortlessly! I can't say enough about her talent - I said it to her and I'll say it again: the result is so perfect, I'm considering naming our first born after her. It can't get any better than that! Jokes aside, Jenn gave us memories to cherish for a lifetime, packaged in beautiful moments you can't capture without a special eye that very few people have. Jenn has it. We're hooked - she's our photographer for life if we can help it. It was November 2009. Anthony was the suave senior football player, and I was the 'cute twin' junior who joined the team on a whim as an assistant to the athletic trainer. I became a bandaid ripping, blood-wiping water girl to jumpstart a senior project (nerd of all nerds). We grew up not even a mile apart and ran in similar circles, but I like to think it wasn't until the time was right that we actually met. I apparently caught his eye by the end of the season. I was taping an ankle when I looked up and there he was - blue eyed Italian stallion donning a tight uniform smudged with dirt and sweat. He asked me if I was going to the "it" dance party that Friday, and I will never forget how much I loved the sound of his voice. Like, who was this stud I never noticed before? Knowing I wasn't cool enough for the party, I played hard to get and rejected him. There was an obvious connection between us. Being with him was an overwhelming feeling of comfort that I couldn't explain. I didnt hear from him for days, all of which I spent glaring in his direction, hopelessly trying to be coy. The last football game of the season came and went, and we all engaged in what felt like a congo line of celebratory hugging. But my new crush was MIA! Desperate for his attention, I saw him in the hallway the next day and used this as bait. "Great game last night Anthony! You're the only one I missed a hug from!" I yelled. We had some fun banter, and he just went for it. He asked for my number, which I scribbled on the back of his hand as we said our goodbyes. 1 week and 3 dates later, he popped the girlfriend question in his 1995 Red Firebird. We were both falling, and hard. Fast-forward over 7 years later..I'm sitting in our home in Atlanta waiting for him to walk through the door any minute now, feeling more in love with him than I've ever been. In 20 years, I hope to be doing the exact same thing (with a few kids and dogs running around!). Congratulations to this beautiful couple! 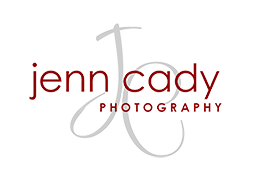 Jenn Cady Photography was honored to capture this special moment for you both!